What Type of Gutter Guard do you Install? How Do You Install Gutter Guard? Do you Clean up your Mess? Will you Unblock my Downpipes? We Serve these Areas Below in the Sutherland Shire and you can CLICK HERE for an instant quote. Can Gutter Guard Work for You? Whilst you are watching the Sharks Game at the stadium a Sutherland Shire storm rages through. 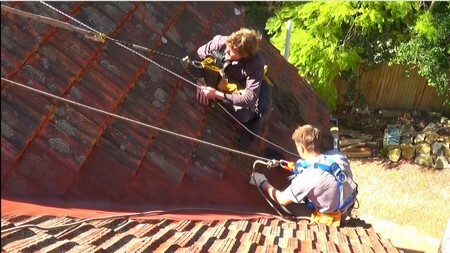 All the spectators rush to grab their mobile phones to book a gutter cleaning service for their precious homes in Bundeena, Burraneer, Caringbah, Woronora and Como. 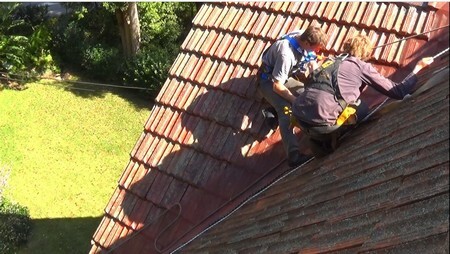 What these spectators discover is that there is only one gutter cleaning company in the Sutherland Shire that can give them an instant quote and allow them to book through the website, even on their mobile phone. That site is this one you have stumbled upon during your search! Do you always want to scramble for your phone during a sharks game to find a Sutherland Shire gutter cleaner? Ofcourse not, you would rather be watching the Footy! So then you should contemplate getting a gutter guard installed to drasticly reduce the amount of times your gutters need to be cleaned in Bundeena, Burraneer, Caringbah, Woronora and Como! You are hanging out the washing in Cronulla, Dolans Bay, Engadine, Yarrawarrah or Grays Point and suddenly a Sutherland Shire storm bashes through. You are so frustrated as you have been trying to get these sheets dry most of the week, but the storms keep raging in. But this storm is differnt and news reports have been warning of local aning service issue as there are probably more gutter cleaning services in Mount Keira than trendy coffee shops! So what should the population of Thirroul be looking for during their next gutter clean? flooding, you hear a dripping sound in the upstairs bedroom and decide to take a look. You notice water dripping from the ceiling onto the freshly dried bed sheets and wonder how the heck the water is coming in through the ceiling? 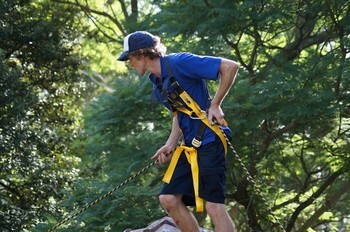 You need your gutters cleaned by a local insured Sutherland Shire Gutter Cleaning Service. Not to worry, you are on the best websire to assist with your gutter cleaning enquiry and to keep the sheets dry!. To help keep your gutters cleaner for a longer period residents of Cronulla, Dolans Bay, Engadine, Yarrawarrah and Grays Point should consider investing in Gutter Guard. No Worries, But Please Don't Forget About Us! You can stay up to date with all things Gutters in Australia! Whilst hunting for Yowies in the Sutherland Shire with the family your daughter points to the heavens and ushers these words "Mom what's that?". You look up at the sky and see the clouds gathering and immediately grab your mobile phone and search for a Local Gutter Cleaning Service in Gymea, Heathcote, Illawong and Yowie Bay. You are amazed that there is only one gutter cleaning company that can satisfy your need to book a local Sutherland Shire Gutter Cleaner. Did you know that you can keep your gutters cleaner for longer by investing in a product called gutter guard? This product is installed ontop of the gutters to keep the leaves and debris away from your downpipes in Gymea and Heathcote. Gutter Guard can reduce the need for gutter cleaning in Illawong and Jannali by more that 70% and give you more quality time to catch Yowies! You are on your morning stroll in Sutherland Shire suburbs like Kangaroo Point, Kareela, Kirrawee or Lilli Pilli listening to your favourite inspirational music and things could not be better for you! But suddenly, even through the headphones, you hear the crack of thunder and lightning! You know it's been a while since your gutters were cleaned in Kangaroo Point and don't want any more repair bills from storm damage. You switch off your music and run a quick google search to find a local Sutherland Shire Gutter Cleaner to get your gutters cleaned in Kareela and luckily stumble across Foreverclean.com.au! You are blown away with the ease of how you got a quote and were able to instantly book your gutter clean through the website. You also received some education about Gutter Guard Installation and put into the notes of your enquiry that you would love to get a free quote from our local Sutherland Shire Installers! Picnic Time on a Sunday, a time to enjoy the last day before heading back to work the following week. Everything is going fine and the kids have been having so much fun at Greenhills Beach in the Sutherland Shire. But suddenly your life is turned upside down by the strike of thunder and lightning, a Sutherland Shire Storm is fast approaching Loftus, Menai, Miranda and Oyster Bay and you need a Gutter Cleaning Service fast! As you scramble for your son's ipad you run a search for something like "Gutter Cleaning Sutherland Shire" and luckily for you the Foreverclean website is presented to you. After doing the weeks grocery shopping at Westfields in Caringbah, you park your trolley and turn around to notice some smoke pluming into the sky near Sutherland! It's bushfire season in the Sutherland Shire and you most likely have not been keeping up with your gutter cleaning in Port Hacking, Sutherland, Taren Point and Woolooware. But not to worry! 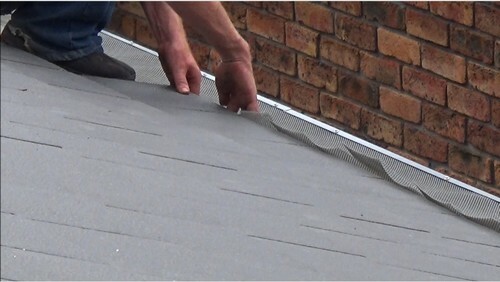 Gutter Guard could be a great solution for you in the Sutherland Shire. 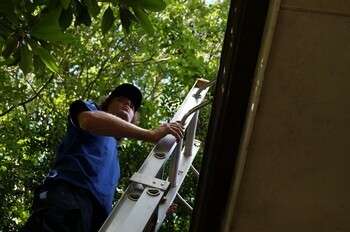 Installing a leaf guard can reduce the need for gutter cleans in the Sutherland Shire by up to 70%! Yes with some gutter protection installed, you gutters a screened against leaves and pesky vermin! Most importantly aluminium gutter covers are completely fire retardant and are recommended by the rural fire service for installation especially in the Sutherland Shire. (c) AKB Services ABN: 98535142685 'Foreverclean.com.au' 2012-2018. Permission is required to reproduce content and technologies from this website. Design, Content and Coding of this Website by The Owner. We do not under any circumstances give any personal information to anyone else without the permission or consent of the user(YOU) of 'Foreverclean.com.au'.